Script Generates Automatic navigation links. 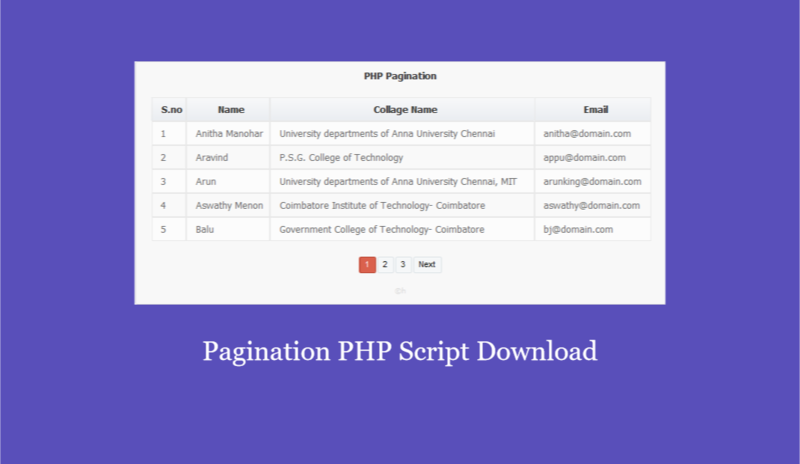 The script creates a database table which allows to paginate through next and previous pages. You can set the total number of columns and rows to be displayed on each page. Easy to view and quick response.